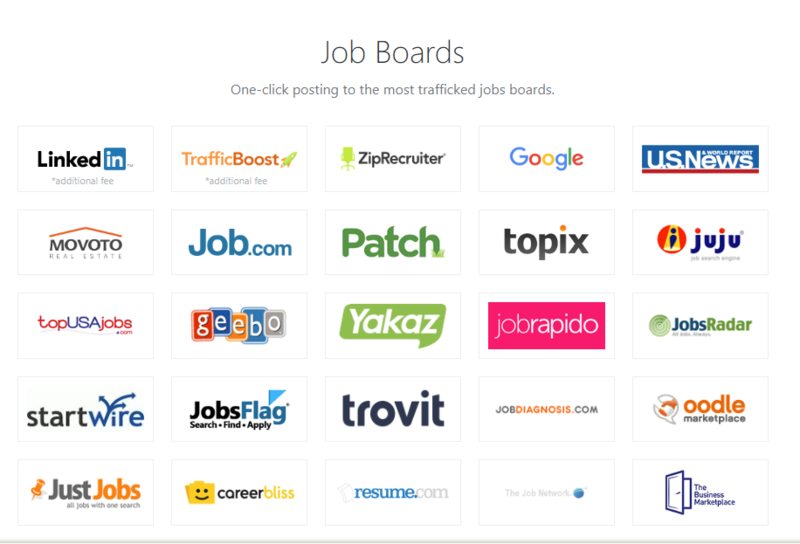 Customers can boost their visibility by using a ZipRecruiter TrafficBoost to post their jobs to 100+ job boards, including Google, maximizing exposure to job seekers. ZipRecruiter integration allows iRecruit customers to choose to post to ZipRecruiter.com for free! Additionally, iRecruit customers can configure pre-screen interview questions to save time and ensure you only see the most qualified candidates. “Our new partnership with ZipRecruiter will give our customers greater exposure to job seekers, with the ability to maximize the amount of job boards posted to, and to find qualified candidates faster than ever,” said Brian Kelly, Managing Partner of iRecruit. 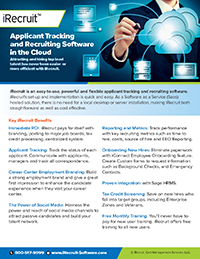 iRecruit will host a webinar with ZipRecruiter on February 14th at 2:00pm. Please join us to learn more about our integration and the benefits of using ZipRecruiter.com. Are you currently using iRecruit? This entry was posted in Blog, iRecruit Blog and tagged applicant tracking software, ats, demo, iRecruit, onboarding software, recruiting software, trafficboost, webinar, ziprecruiter. Bookmark the permalink.